Just about the best photo activation station in the world (or so we like to think). 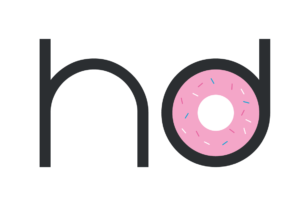 Neon is the newest arrival to HappyDonut, allowing brands to engage with clients in a unique and personal experience. With its sleek design, fully customisable software and hardware, neon becomes a part of your team in a matter of minutes. Make Neon work for you with real-time analytics, surveys and most importantly, high-quality images, GIF’s and Boomerangs. Customer experience and being in the right place at the right time is what makes a brand visible. With instant social, SMS and micro-site image sharing, your brand will become the talking point of any users news feed. Choose from 100+ patterns to match Neon to your event. The app auto switches to a beautiful warm white light when capturing content, meaning you have that perfect selfie glow! Have Neon tell your story, from top to toe you can customise Neon to promote your brand and engage customers. Our LEDs dim when not in use to reduce battery drain and strain on your guest’s eyes. Have your screens tell a story to begin all the action, promote your brand and engage customers. Whether you have a solid set of brand guidelines, specific event branding, or want us to take charge of being creative. HappyDonut can work with you to perfect your Neon style. Enable Neon to become yours – a design that screams your brand and draws the attention of your target market. Everything you could wish for … and more! Ensure you get what you came for, following your event we’ll provide you with an analytic insight report, enabling you to evaluate the impact and reach of your campaign. SMS messages have a 98% open rate, which makes them invaluable for retargeting. Grow your e-mail list and increase revenue with branded e-mails. Data is more valuable than ever, yet so elusive. Entice engagement with Neon.